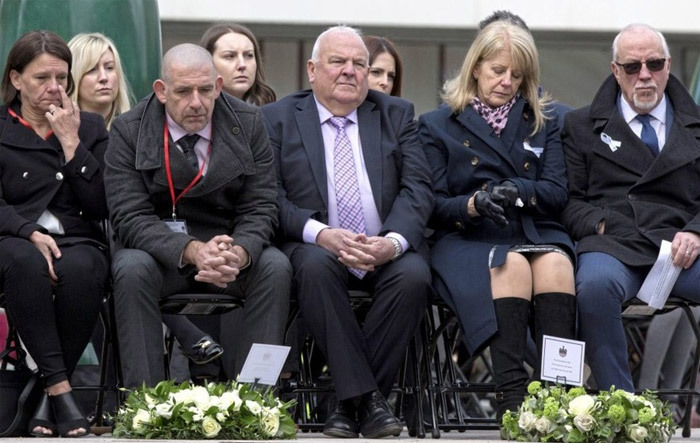 Photo above Wendy and Colin Parry (both right), the parents of Tim Parry, 12, and Paul Comerford (second left) the brother of Johnathan Ball, three, who were both killed in the IRA Warrington bombing attack, sit during the 25th anniversary service of the Warrington bombing, on Bridge Street, attended by the families of victims of the attack, faith leaders and representatives of the British and Irish governments. 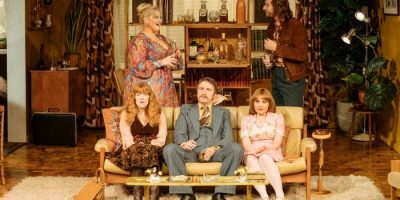 PRESS ASSOCIATION Photo. Picture date: Tuesday March 20, 2018. See PA story MEMORIAL Warrington. Photo credit: Peter Byrne/PA Wire. On the eve of the 25th anniversary of the IRA bombing in Warrington, a Liverpool store showed their support for a very special charity fashion show, raising funds for the Tim Parry and Johnathan Ball Peace Foundation. Stylists from John Lewis, Liverpool One, used their talent to demonstrate how – with a tweak – the same outfit can be worn by women from every faith, while still observing religious beliefs. Hameera Darr and Jackie Baines, Muslim and Jewish respectively, came up with the event, which was held at the Jubilee Neighbourhood Hub inWarrington. Local girls and women of all faiths modelled the outfits, and students from Warrington and Vale Royal College worked their magic with hair and make-up, making it a real community effort. Tim Parry, 12, and Johnathan Ball, 3, lost their lives due to the IRA attack in 1993. The foundation set up in their names aims to encourage dialogue between people with differences, urging the rejection of violence. Christine Mapp, originally from Warrington, now lives in France, but when her daughter Lindsey told her about the event, she felt that she had to attend. The evening was enjoyed by women from all backgrounds, with visitors from Belfast lending their support.